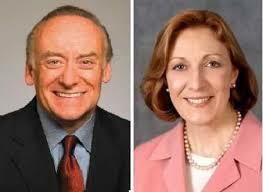 In the Ohio Senate Democratic Primary with 5 weeks to go new Quinnipiac University Survey shows Lieutenant Governor Lee Irwin Fisher (D-OH) leads Secretary of State Jennifer L. Brunner (D-OH) by 7 Points among Likely Democratic Primary Voters. I’m definitly very surprised about these Results. Considering that Brunner barely has any money I had had expected Fisher to be further ahead. Once again this shows you that MONEY ISN’T EVERYTHING. If you run a disciplined & decent Campaign you can still win. Bill Clinton endorsed Fisher today. Read the Statement on Fishers Campaign Website. Quinnipiac after releasing Results for the Senate Race yesterday also looked at the Connecticut Governor Primaries and finding that Democrat “Ned” Lamont (D-CT) as well as former Ambassador Tom Foley (R-CT) are the Frontrunners in their respective Party Primaries. No General Election Head-to-Heads were given. No General Election Match-Ups were given. Democrats could have locked this down if Secretary of State Susan Bysiewicz (D-CT) hadn’t switched Races. Daniel…..Connecticut Senate: Blumenthal still cruising; Big surprise in the Republican Primary as McMahon surges ahead of Simmons acorrding to new Quinnipiac Survey…. 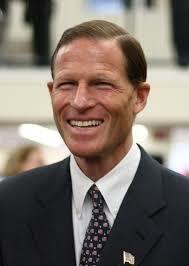 Connecticut Attorney General Richard Blumenthal (D-CT) is still cruising to the Senate according to a new Quinnipiac University Survey in the Nutmeg State. What’s really a big, big surprise is that Q-Pac also now finds former WWE CEO Linda McMahon (R-CT) has now toppled former U. S. Rep. Robert “Rob” Simmons (R-CT) by 10 Points. This is a 20-Point Swing in the last 2 months in favor of McMahon. Are these knuckleheads crazy? They can’t nominate McMahon. She’s simply not fit for the Job. From Daniel G…..Pennsylvania Senate: Specter leads Sestak by 24 Points in Democratic Primary; Regains lead over Toomey in the General new Q-Pac Survey shows ….. Some good News for your Party this morning. 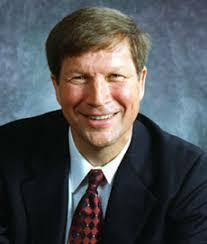 According to a new Quinnipiac University Survey in the Keystone State Senator Arlen Specter (D-PA) has widened his lead over Primary Rival Joseph A. Sestak (D-PA) to 24 Points. 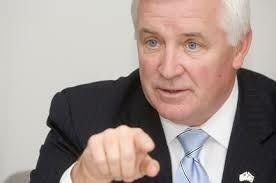 More importantly: He now leads his Republican General Election Rival, former U. S. Rep. Patrick J. “Pat” Toomey (R-PA) by 7 Points. 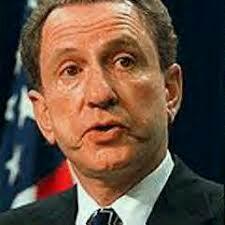 Do you think Senator Arlen Specter (D) deserves to get reelected? Folks, something is VERY FISHY here. Clearly Q-Pac does seem to see a completely different Electorate in this Race. To put this in perspective: A Franklin & Marshall Survey just released last week showed Toomey ahead of Specter (44-34) and a Rasmussen Survey done February 8th showed Toomey ahead (47-38). Something has to be wrong here. There can’t be an 11-Point Swing in just one week friends. Quinnipiac is usually a good Pollster so I don’t know why they see it so differently. The Dog will only say that he has cautioned everyone that sooner or later the ‘Scoot Brown’ effect would wear off….and that Republican’s were expecting much too much for November ( like the democrats after Obama’s win )…it’s early but let’s see……ole’ Arlen still has a lot of fans out there…..
Ohio Lt. Governor Lee Fisher has opened up a 9-Point Primary lead over his Democratic Rival, Secretary of State Jennifer Brunner. Presumptive Republican Nominee Rob Portman (R-OH) leads Fisher by 3 Points and Brunner by 5 Points according to the latest Quinnipiac University Survey. Today’s Q-Pac Poll seems to be in line with the latest Rasmussen Poll from earlier this month which had Portman ahead of Fisher (43-39) and Brunner (42-38). Needless to say at this Point the Ohio Senate Race is a Toss-Up. 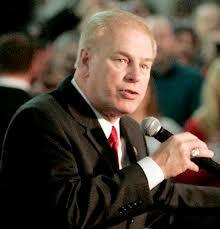 Daniel G on the Ohio Governor's race…..
Ohio Governor Ted Strickland (D-OH) has retaken back the lead according to a new Quinnipiac University Poll. Strickland now leads his main Republican Rival John Kasich (R-OH) by 5 Points. It looks like Strickland has hit the basement and is slowly creaping up the ladder. EVEN Rasmussen found it: Look in January they had Kasich up 9 (48-39), in February they had Kasich up 6 (47-41). I wonder what their March Polling will say. The Trends working in Stricklands Favor right now I would think. 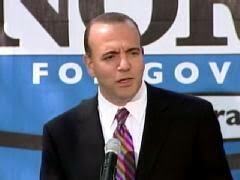 Daniel G on the Ohio Governor’s race….. The New York City Mayor got around the voter’s… to get a third term…..now he’s paying for it….His poll numbers are steadily dropping…..
We Feel for you…….Well, Not really!……. Mayor Bloomberg’s approval rating has fallen to its lowest point in the last 4-1/2 years – just one of the elected officials to feel the wrath of New York voters. Voters, according to a Quinnipiac University poll released Wednesday, support Bloomberg’s plan to balance the budget by freezing city workers’ wages, but are mixed on his push to trim city services instead of raising taxes. Just 43% of voters would raise taxes to balance the budget, down 10 points from a year ago. About 45% would cut services, up 6 points from a year earlier. While 63% of voters would support a wage freeze, 63% are also opposed to laying off city workers. Bloomberg’s proposed budget eliminates raises for most city workers, and lays off 834 of them. Just 61% of New Yorkers surveyed approve of the job Bloomberg is doing, down from 67% in September and 75% in October 2008. The last time he was at that level was July 2005, when he had a 60% approval rating heading into his first re-election bid. Bloomberg won re-election last fall by a 4.4-point margin, and said he was hurt by the same anti-incumbent sentiment that has tossed pols from office around the country. Quinnipiac pollster Mickey Carroll said the voter dissatisfaction is real – and Bloomberg has suffered from it. The survey of 1,195 registered New York voters has a 2.8-point margin of error.